This new exhibition at the Museum within its <exchanging gazes> series focuses on a theme that has interested artists of all periods, namely the self-portrait. Numerous artists have depicted themselves over the course of history, with the aim of recording their state of mind or the passing of time, asserting their status in society or preserving their image for posterity. 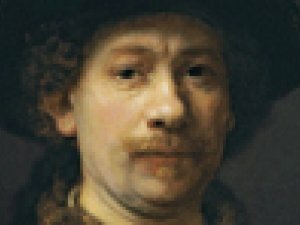 A selection of nine self-portraits from the Museum’s collections, including examples by Rembrandt, Steen, Freud, Beckmann and Schiele, allows for a succinct summary of the evolution of this sub-genre of the portrait from the Renaissance to the 20th century. Self-portraits always contain a psychological element, at times bordering on the narcissistic and motivated by the desire to delve into the self and reveal it in all its multiple facets. The self-portrait is a reflexive action in which the artist and model become one and the same while the mirror plays a key role as an essential tool for creating the painting, in symbiosis with the work of art itself as a reflection of the idea of the face as the mirror of the soul.